Armenian officials emphasized that the charges have only to do with Khachaturov's role in the 2008 events – he was the head of the Yerevan military garrison at the time of the crackdown – and had nothing to do with the CSTO. “This is purely an internal process, within the framework of a criminal case under investigation in Armenia involving an Armenian citizen,” said Tigran Balayan, spokesman for Armenia's foreign minister. It's not clear how important the CSTO secretary-general is now that it is no longer in the hands of Russia. Khachaturov was a very low-profile leader compared to Bordyuzha, who regularly spoke to the press and was one of Russia's most prominent foreign policy voices. 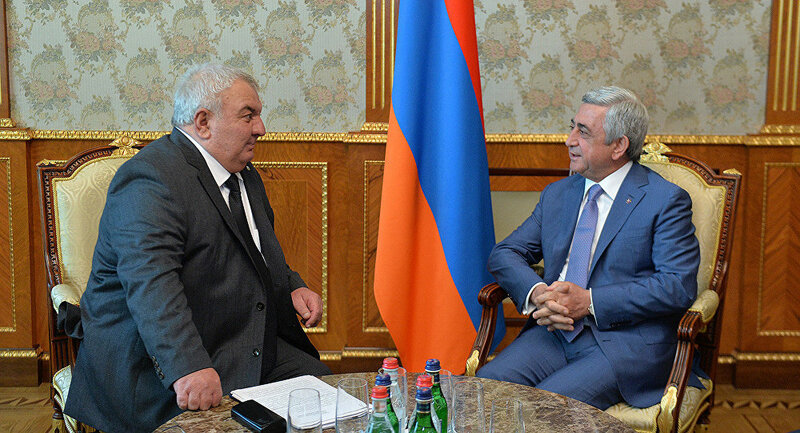 Armenia's new leadership has a delicate relationship with the CSTO. On the one hand, it is a conservative organization and has made an explicit priority of trying to prevent “color revolutions” in the post-Soviet space; Pashinyan's “Velvet Revolution” is a color revolution in pretty much every respect except Russia's decision not to oppose it head-on. On the other hand, the CSTO is a key element of Russia's security guarantee for Armenia, which will be crucial in the case that a large-scale war breaks out with Azerbaijan. If that happens before 2020, Yerevan will be choosing the person who – at least nominally – will be managing the alliance's response. The reactions from Russia to Khachaturov's legal troubles were mixed. “To hear something like this is especially strange considering that the recent changes in Armenia did not affect the working of the foreign policy apparatus, which not long ago presented to the CSTO Khachaturov's candidacy, and most importantly knows very well the procedure” of replacing a secretary-general, the Tass source said. For those Russians inclined to see the worst in Armenia's new government, this was just more evidence of Yerevan's untrustworthiness. “Imagine that, for example, Norway without warning put on trial the secretary-general of NATO. But with Russia, something very similar has happened – Armenia has charged the current head of the CSTO, the most important military-political bloc for Moscow,” wrote the news site Vzglyad.